Ruth H. Vaughan, 88, of Glasier Drive, Carlsbad, New Mexico, passed away Wednesday, March 28, 2018 at Carlsbad Medical Center. Visitation will be 4:00 PM - 7:00 PM, Friday, April 6, 2018 at Denton-Wood Funeral Home. A memorial service is scheduled for Saturday, April 7, 2018, 11:00 AM, at First United Methodist Church with Rev. Barry Hosford officiating. Denton-Wood Funeral Home is in charge of the arrangements. Ruth H. Vaughan was born March 3, 1930 in Denison, Texas to Douglas Gale and Georgia Jewell (Mosley) Hosford. She graduated from high school in Denison and received a bachelor’s degree from North Texas College. It was there Ruth met Farris Vaughan and they married August 27, 1950 in Denison, Texas. They moved to Carlsbad in 1955. 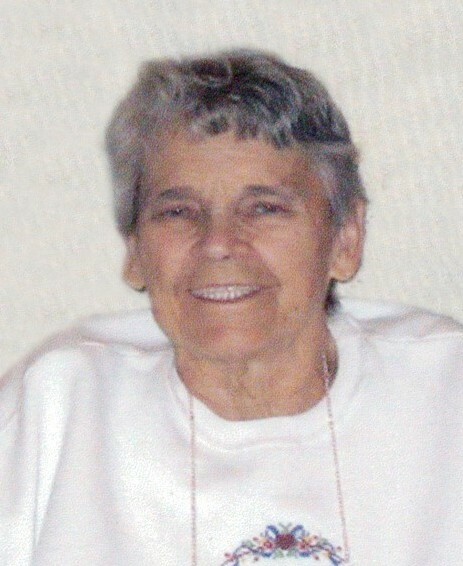 Ruth taught school at both Eddy and Pate and retired in 1992 after 25 years of service. She was active in Carlsbad Classroom Teachers Association, National Education Association, Assistance League, Beta Sigma Phi and Alpha Delta Kappa. Ruth enjoyed playing bridge, puzzles, traveling, camping, painting, but most of all she loved attending all her grandchildren’s many activities. She was preceded in death by her parents; husband, Farris Vaughan; son, Eric Vaughan and brother, Richard Hosford. Survivors are her sons: Greg Vaughan and wife, Terri of Carlsbad, NM, Roger Vaughan of Austin, Texas; grandchildren: LaRay Mayrhofen and husband, Kit, Brandon Denton and wife, Amy, Jessica Barnes and husband, Chad, Erica West and husband, Tyler, Charlie Vaughan; great-grandchildren: Haylee, Erin, Tyler, Krysalin, Cassidy, Luke, Ayden, Aubrianna and Avery; brother, Charles Hosford of Los Alamos, NM and numerous nieces and nephews. Honorary Pallbearers are Brandon Denton, Tyler West, Chad Barnes, Mike Hosford, Damon Hosford and Bruce Hosford. Condolences may be expressed at dentonwood.com.